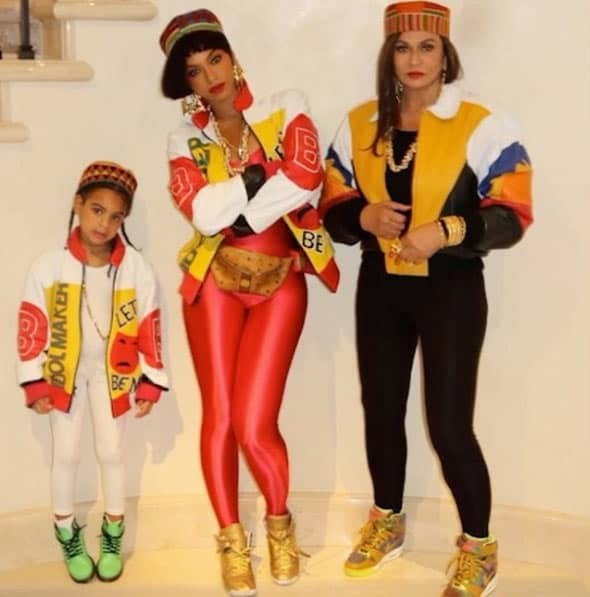 Beyoncé and Blue Ivy transform into Salt N Pepa for family party | HELLO! Beyoncé and her daughter Blue Ivy often show off their similar style, but the stylish mother-daughter duo took twinning to a whole new level over the weekend when they dressed as eighties hip hop group Salt N Pepa. The Formation singer pulled out all the stops for her friend Angie Beyince's 40th birthday party, recruiting her mum Tina Lawson to join in the fun with a retro style costume. The trio wore outfits styled on Salt N Pepa's Push It video, with Beyoncé rocking a red bodysuit with gold high top trainers, a bum bag and a patchwork jacket. The 35-year-old topped off the look with a cropped wig and patterned hat, adding oversized gold jewellery and red lipstick. Her mum Tina rocked a similar look in black, while four-year-old Blue Ivy looked adorable in a white all-in-one teamed with green boots and her hair braided into two plaits. 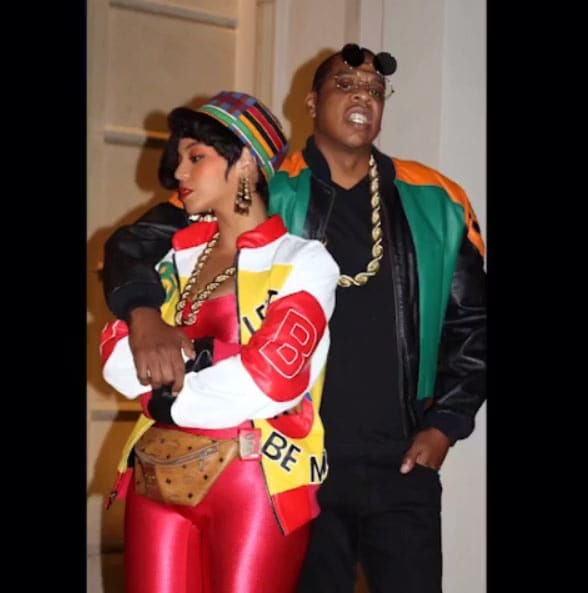 Beyoncé shared a montage of snaps from the night out on Instagram, showing that her husband Jay Z had also joined the celebrations by dressing in a bold colour block leather jacket and flip lens glasses. The family costumes received an incredible response from fans, with one writing: "I really love these costumes!" while others simply wrote: "Goals". They weren't the only celebrities to dress up over the weekend; some of Hollywood's biggest stars dressed up for Halloween, with many attending Kate Hudson's annual party in Los Angeles on Friday night. The following evening Katy Perry also celebrated her recent 32nd birthday with a fifties high school themed party, where she dressed up as the strict headteacher, while guests including Jessica Alba, Kate Hudson and Orlando Bloom dressed up as teachers and students.